Home Business What is a live-in landlord? A ‘live-in landlord’, also known as a ‘resident landlord’, is someone that rents out part of their home to a ‘lodger’, while also living in the property. While homeowners may revel in the thought of earning an income from renting out part of their home, this type of tenancy differs from a typical private let, and there are several aspects that landlords should be aware of. Below we have answered some of the most common questions for people that are considering becoming a live-in landlord. Do I need permission to let out part of my house? Homeowners that own the property outright do not need permission to rent out part of their property. If the property has an outstanding mortgage, the homeowner will need to get permission from the mortgage lender before renting out part of the property. If the homeowner is a long-term leaseholder, they should check the terms of the lease before renting out part of the property. I don’t own my house. Can a lodger live with me? Secure council tenants are allowed to sublet part of the property but must have the council’s permission first. Private tenants are generally prohibited from subletting. However, unless the tenancy agreement explicitly states this, tenants are free to sublet. It is advisable for tenants to check with the landlord before letting someone move in. 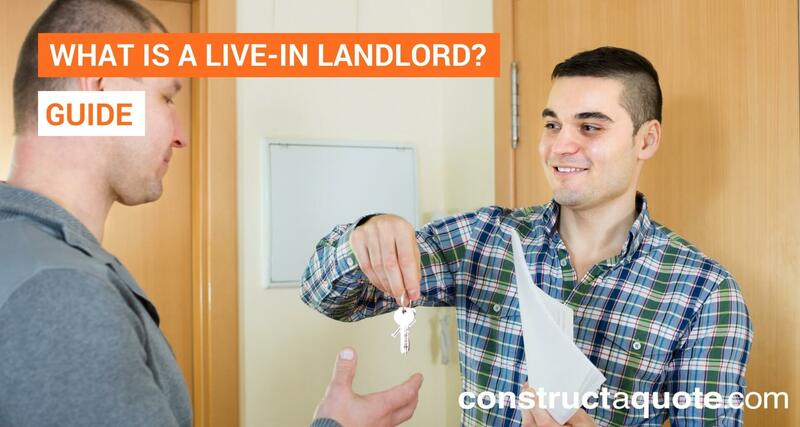 Do I need a license to be a live-in landlord? Live in landlords do not need a license to rent out a room for two people or less. However, if the landlord leases a room or part of the property to three or more tenants that are not from the same family, the property becomes a house in multiple occupation (HMO), and a license is required. A license is also needed if the building is three stories or more. When calculating the number of people living in the HMO, the resident landlord and their household (if any) count as one person. If the property is a HMO, the landlord is subject to management regulations. This means the landlord must make sure that the property is safe for all occupants to live in, ensuring all equipment and appliances are well maintained, and making sure communal areas are clean. The local council has the power to take action if the conditions of the property are poor and do not meet HMO requirements. What is the difference between a tenancy and a license to occupy? For a letting to be a tenancy, the occupier must be granted exclusive use of at least one room in the property. The agreement between the occupier and landlord will state that the landlord cannot access the room without the occupiers’ permission. For the letting to be a license to occupy, the landlord must be providing some form of service that requires them (or someone working for the landlord) unrestricted access to the occupier’s room. Access to the occupiers’ room could include cleaning, removal of rubbish, changing the bedding, and providing meals. If the occupier has to share the room with someone they did not choose to share with, the letting is classed as a license to occupy. What are live-in landlords responsible for? Ensuring the building meets building regulations. Ensuring all electrical appliances and installations in the building are maintained regularly and safe to use. Ensuring a registered engineer maintains all gas appliances so that they comply with Gas Safety Regulations 1998. Ensuring the communal areas of the property are kept clean. Ensuring major repairs are dealt with accordingly. Although the Landlord and Tenant Act 1985 applies to tenancies, not licenses, a home must be fit for habitation regardless of the arrangement of people living in it. How much rent can live-in landlords charge? Landlords are free to charge whatever they want for letting out part of their property. The cost of the rent can be negotiated and agreed between the landlord and the lodger. Landlords can also increase the rent, but only when the duration of the agreed tenancy has ended, and a new tenancy period begins. It is standard practice to ask for one month rent in advance before the tenant moves in. Live in landlords are legally obliged to provide a rent book if the rent is paid weekly. There are standard rent books available from law stationers. However, many of these are for tenancies and are not applicable to lets by live-in landlords. In this case, landlords will need to adapt the rent book so that specific information is removed or added. Will my rental income be taxed? In most cases, a landlord’s rental income will be included as part of their overall taxable income and the tax to be paid will depend on how much profit is earned over the landlords’ personal tax allowance. Alternatively, live-in landlords can take advantage of the Rent a Room allowance – but this only applies to furnished rooms within the property and does not apply to a flat that is part of the house. The Rent a Room Scheme lets landlords earn up to £7,500 per year tax-free from letting out furnished accommodation in a property they own. This is halved if the landlord shares the income with a partner or anyone else. Live-in landlords that claim the Rent a Room allowance cannot claim any other expenses or capital allowances. Landlords can calculate which option works best for them and inform the tax office of which one they want to use. Can housing benefit be paid directly to me? If the lodger claims housing benefits, the Local Housing Allowance rules state that the payments are to be made directly to the lodger – not the landlord. However, if the lodger struggles to manage their finances, the landlord can request the local authority for direct payment. If the lodger is in rent arrears of more than eight weeks or they have proven they are not reliable to pay rent on time, the landlord can request the housing benefit is paid directly to them. Do live in landlords need to have a written tenancy agreement in place? A tenancy agreement is only required if the tenancy is for a fixed term or more than three years, but it is always advisable to have a tenancy agreement in place to provide both landlord and the lodger with clarity if any issues arise. Live-in landlords are allowed to draw up their own agreement, but it is recommended to seek legal advice to make sure the agreement complies with legislation and includes everything it should. Live-in landlords can also use tenancy/ license agreements that have been created by legal stationary companies and include the standard clauses. These can then be adapted to suit the arrangements desired. If you’re thinking of becoming a landlord, our landlord insurance cover can provide you with essential protection if something goes wrong. 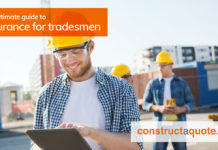 Get your free quote today at constructaquote.com.